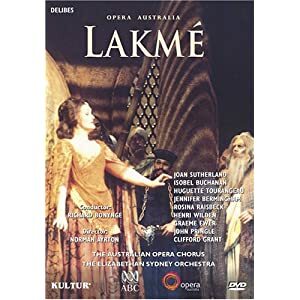 OK, folks, some of you said you miss voting for stuff now that we've reached the end of our Most Recommended Opera DVDs-Blu Rays project (I mean, almost the end, revision of the votes is taking place right now but will be over shortly). For your delight and peace of mind, I must say that I have a couple of big projects in planning stages. But until we get to the big ones, here is a small one to get you guys entertained in-between the big projects. 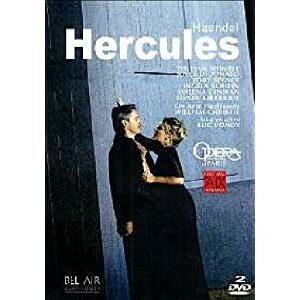 Let's vote for the top 10 Opera DVDs or Blu-rays with the best MUSICAL aspects, *completely disregarding* staging, acting, costumes, props, camera direction, etc. We all know that when we privilege visual media we have a lot to gain in terms of the whole art form that opera represents with its theatrical aspects, but we also have a lot to lose since most of the great recordings with the best singers and conductors and orchestras are on audio media and not on visual media (not to mention those stagings that are actually detrimental to the enjoyment of the work). 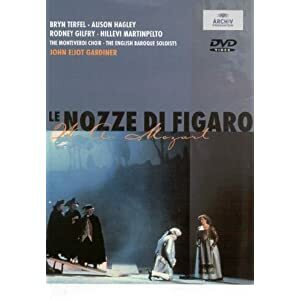 However there are a few exceptions - those DVDs and blu-rays that one would be able to enjoy with the TV monitor turned off, because they have as good musical performances as the best vinyl or CD recordings of the same opera. I believe the very top ones are few and in-between... thus my intention of just getting to top 10. So please nominate your first 3 choices - the order matters. Tell us what DVDs-BluRays you intensely praise for the singing/conducting/orchestral playing - your number 1 choice, then your number 2 and your number 3. We may change the method as we go if this method doesn't generate enough overlapping votes to allow us to easily rank them 1 through 10 by simple attribution of points to the three categories of votes (1st, 2nd, 3rd), but let's start by doing this and we'll see how it goes. I encourage you to only nominate DVDs-BluRays that excel in ALL 3 musical aspects - and particularly, those that have a cast of singers that is good across the board. Please don't merely nominate a DVD that features a favorite singer of yours who does a wonderful job but is not helped by a weak supporting cast with many weak links, or by a pallid orchestra with the wrong tempi. If we vote for only the top 10, we gotta keep the bar very high and only nominate the very best. Sometimes ONE weak link singer can ruin a performance. Let's think of products that have practically no weak links, or at least, few weak links that are in minor roles and don't ruin the performance. 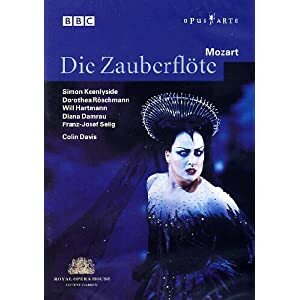 So, I repeat, I'm interested in those recordings that wouldn't be ashamed if compared to the best audio recordings of the same opera, given that all or most singers perform at a high level, helped by an excellent conductor and orchestra. Please when nominating *don't consider the visual aspects* at all - regardless of how helpful or how detrimental they are (I know it can be hard to avoid being influenced by the visuals, but please do your best to abstract from them). If you are profoundly disgusted by the staging but the singing/playing is exquisite, it's a valid nomination because the spirit of this exercise is one of finding the products that you'd love to listen to with the TV monitor off. I have no time now to give my choices enough consideration and I'll be providing my 3 nominations later (I do have a few in mind) but I thought I should go ahead and open the project. 1. 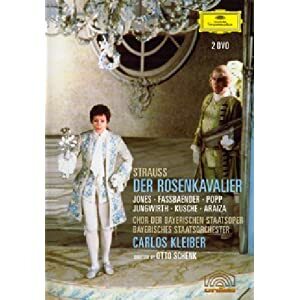 Carlos Kleiber Rosenkavalier with Jones, Popp, Fassbaender. Last edited by mamascarlatti; Jun-15-2011 at 21:01. Direction & staging is just so good. One of my most watched DVDs. Last edited by sospiro; Jun-16-2011 at 05:34. These are my three DVDs. 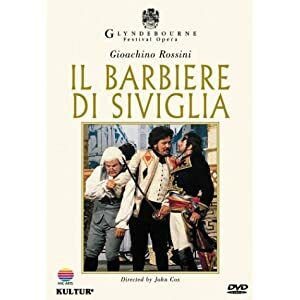 So, my no 1 across all the other DVDs is Il Barbiere di Siviglia, the Glyndebourne production. I loved almost everything, the singing, the acting, and the production. There is one a bit weak link as I didn't like so much Max-Rene Cosotti aspirating style of singing. But I liked a lot his drunk scene. Everybody else was amazing. Young Maria Ewing was Rosina herself, so was John Rawnsley as Figaro. 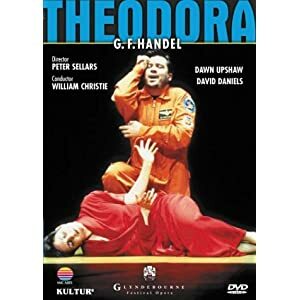 Great singing and acting, Caludio Desderi was a perfect Dr Bartolo, great voice, and his character was so funny, it perfectly described the role. He was quite young, and his desire to marry Rosina made sense. 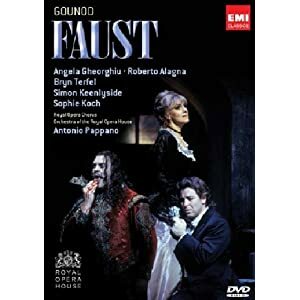 I also loved great Ferruccio Furlanetto as Don Basilio. He was also very funny and, but most of all, Ferruccio has an amazing bass voice. Sylvain Cambreling conducts the orchestra- awesome playing. John Cox did the staging, and the scenery representing old Seville was perfect for me. This the DVD I watched, I guess, almost 100 times! Number 2 is more difficult for me to choose. 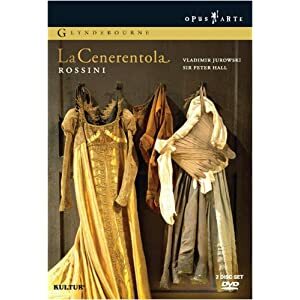 OK, my no 2 is also Rossini, La Cenerentola. This production has no weak link. I loved the whole DVD, singing, acting, staging, DVD extras. Ruxandra Donose is great in the title role. Great singing, perfect pitch, great coloratura! Young Maxim Mironov was an excellent prince. His voice was pretty close to that of JDF. Simone Alberghine was awesome singing the role of the valet, Dandini. 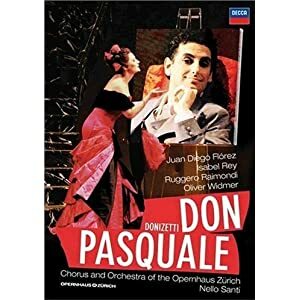 Don Magnifico looked a bit too rugged, but was played beautifully by Luciano Di Pasquale. His acting was just perfect for the mischievous, villain step father. Nathan Berg, great bass, sang the enigmatic role of Alidoro. Vladimir Jurovski conducts this Rossini jewel. I also loved the staging, classic, but not overpowering. No 3 is even more difficult to choose. I love Rigoletto, Traviata, Turandot and many others. In both Rigoletto and Turandot I don't have many (enough) productions so I'll go for Traviata with Angela Gheorghiu at La Scala. Amazing singing, nice acting, loved the staging, orchestra, no weak link. The bonus was the great price of this wonderful Blu Ray DVD. Last edited by Almaviva; Jun-16-2011 at 00:47. This is an interesting thread. 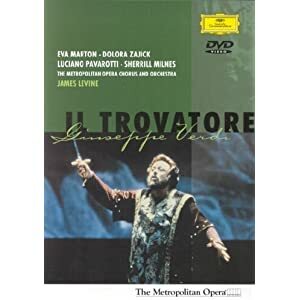 I must admit my experience of the operas, in particular the pre-Romantic operas, that I have on both CD and visual mediums I find the former often tend to be the stronger performances. But this thread is focused on strong performances from the visual medium, irrespective of quality of staging and irrespective of CD versions (if any). (1) I have several versions of Handel's Giulio Cesare in Egitto on all mediums, all are sung in Italian and all are performed by early music groups (on period instruments) under well known conductors. The William Christie version we all like is quite solid. The only singer that bothers me is Danielle de Niese (Cleopatra), (who despite her beautiful appearances that are irrelevant for the purpose of this thread), appears to lack some experience when taking these big roles. Sarah Connolly is first class as the hero (my personal preference is always for a mezzo-soprano rather than a countertenor taking the big roles in early operas). Bill Christie is on par as ever with finest. So yes, you can switch off the television when playing this version! (2) Another Handel. 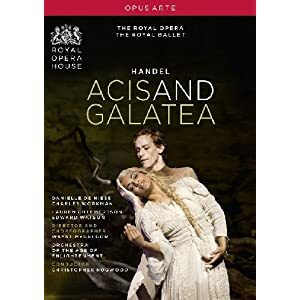 Acis & Galatea, masque/serenata/pastoral opera (sung in English, first version 1718, England). Danielle de Niese (Galatea), Charles Workman (Acis), Matthew Rose (Polyphemus), Paul Agnew (Damon), Ji-Min Park (Corydon); Lauren Cuthbertson (Galatea - dancer), Edward Watson (Acis - dancer), Steven McRae (Damon - dancer), Eric Underwood (Polyphemus - dancer), Paul Kay (Coridon - dancer). Dancers of The Royal Ballet, The Royal Opera Extra Chorus & Orchestra of the Age of Enlightenment, Christopher Hogwood (conductor) & Wayne McGregor (director). Under the baton of one of my very favourite Handelian conductors, Christopher Hogwood. Solid, solid, solid. Nothing more to say from a musical performance perspective. So yes, you can also switch off the television when playing this version! Note: Do not confuse Acis & Galatea mentioned here with his other Aci, Galatea e Polifemo (1708, Italy) (HWV72); same story but totally different music. Concerto Köln & Choeur du Théâtre des Champs Elysées, René Jacobs. Under the baton of another one of my favourite early music specialist. I even have the CD version. 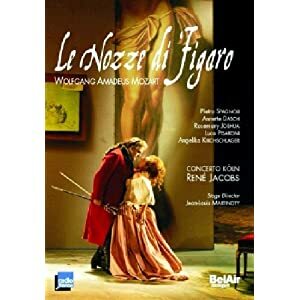 Jacobs' Mozart operas on CDs have simply re-opened Mozart operatic masterpieces onto a new level. Not often the easiest on ears more used to modern orchestras/interpretations of Mozart operas. But I love it. For me too , it's the best opera on media I've ever seen . Except one little mistake by Dr. Bartolo , when heart-attacked , putting his hand on his chest but on the right side ! But seriousey it's a magnificant production ! I've watched it more than I could even count ! Oh No! Must. Have. It! Financial ruin beckons again. Ok, these are my selections, but really difficult ... If there were 10 operas at least, it could be easier. A film production of Menotti's Amahl and the Night Visitors, conducted by maestro Jesús López Cobos in 1978 could be a good alternative but I have it on VHS and as I can see there is no DVD issue yet. Interesting. The only overlap so far is this Barbiere version which I don't know - it must be very good, I'm tempted. Maybe we'll have to end up just listing some 30 DVDs with excellent musical performances. Any suggestions on how to handle this project from this point on? I launched the idea of 3 nominations to see if we'd have numerous overlaps that would facilitate the ranking, but since it's not the case, I'd like to hear you guys on how to proceed. It's really a wonderful production Alma, get to know this, I heavily recommend it. It's really worth watching and if you didn't like it I swear say nothing against La Bellissima anymore !! Last edited by Il_Penseroso; Jun-17-2011 at 20:15. OK. I just saw it (it was ordered by super super super fast delivery, and I saw it on my super super super fast DVD player) and I didn't like it. There! Now you can't say anything against Anna, ever!! !